How cool are these images made from coffee rings. 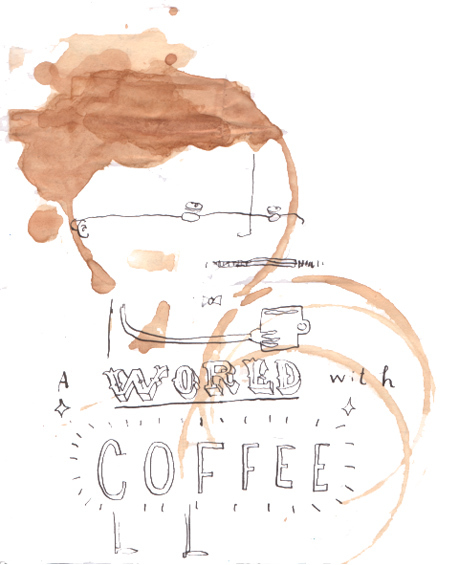 Created by artist, illustrator and writer Oliver Jeffers from his a world with coffee project. 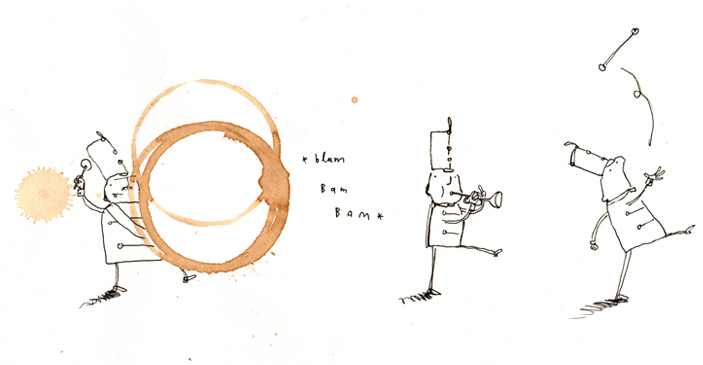 I love the style of his illustrations - very distinctive. It is officially the boy's favourite book and they L O V E the DVD also (thanks Granny & Pop!). Go and check out his paintings, picture books and projects here. I saw the trailer for the film & didn't realise it's already out. It looks SO cute!! Love your pallet ideas too. Coincidentally we have been considering making pallet beds for the girls after seeing the one made on the Under the Sycamore blog that was among your photos. Fun! !